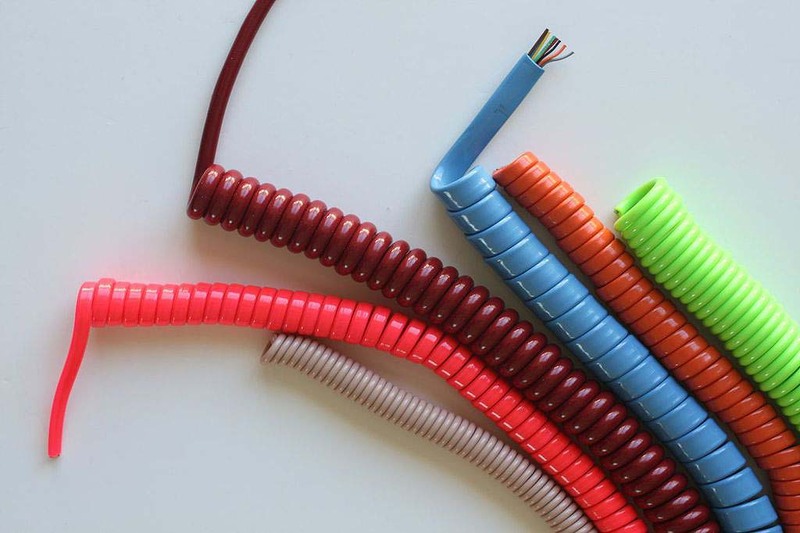 If you have cable made by another manufacturer, we may be able to make Coil Cords from your cable.Send a 5 to 10 foot long sample of cable to us and we will coil it free of charge! Retractile Coil Cords can be made up to 96″ retracted. A wide range of mandrels (inner diameter) are available from .125″ to 2.25″. If you would like a quotation for coiling services please fill out the Quotation Form on this website. On that form, next to “Special Requirements”, please fill in “Cable Supplied”. If you need help with the design, call now and talk to one of our cable and Coil Cordset specialists at 1-888-264-1885. Our minimum is $150 per order.